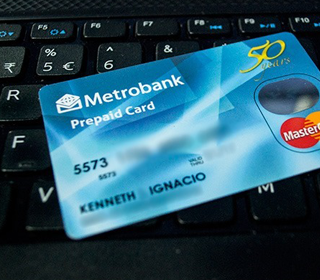 Jatis Group(member of Indivara Group), through its Philippines subsidiary, announced that it has been selected by Metropolitan Bank & Trust Co. (Metrobank), to provide a unified Trust Front-End System. This system will enhance the front-end branch distribution operations of Metrobank to effectively sell wealth management products to its retail, mass affluent, and high net worth customers. The Trust Front-End System Project will cover the entire Philippines, Luzon, Visayas, and Mindanao. Metrobank is one of the oldest and the second largest bank in the Philippines. Avantrade™ Unit Trust Sales is specifically designed to support unit trust/mutual fund business process to help agents’ selling process such as: order management, generate and monitor sales while complying with the regulations; and to provide fund supermarket to the customer. Avantrade™ Fixed Income is designed for selling agents and custodians to support fixed income transactions particularly long-term investments. This does not limit to cover government bonds but all types of bonds that can be sold to retail investors. In particular, retail investors with smaller denominations with business scheme such as Broker-Dealer Concept and Inventory Concept are also covered by this system. Inventory Concept means that the Bank takes position to hold and customer can do trading with price set by the bank, no negotiation Aid. Banks act as standby buyer of the small denomination of bonds from the customers. With the growing wealth of the middle income population in the Philippines, banking customers increasingly become financially literate and look for more options to invest than traditional banking products. The Trust Front-End System is designed to help Metrobank achieve the following business objectives, to increase sales volume and revenue income; to reduce time and effort in processing investment disposition transactions; to have a single transaction entry for both order-taking and settlement; to facilitate a more efficient client profiling and suitability assessment procedure; to offload work from marketing officers; and to have access to real-time information necessarily for Fund Managers to take investment positions effectively. Avantrade™ is web based application, information will easily and widely distribute within users in Metrobank. Fund Managers will have easy access to the entire investments positions. With the trust given to Jatis by Metrobank, Avantrade™ Wealth Management System continues to show that it can compete with European and American products.